R5 in Montreal or Quebec City? Inform me about the next events for R5. Enroll yourself to our priority waiting list for R5 to be alerted when new tickets are available. Filling this form doesn't engage you to any purchase. American pop outfil R5 is coming to Montreal on April 2nd, 2014, for a concert at the Metropolis. Fans discovered Ross Lynch in Disney Channel's Austin & Ally show, which skyrocketted R5's popularity. Riker Lynch, Rocky Lynch, Ross Lynch, Rydel Lynch and Ellington Ratliff form the band. 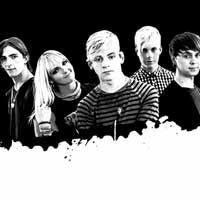 Don't miss R5's concert in Montreal this Spring !